Thuirt Comhairle na Gàidhealtachd nach tèid cosnaidhean a ghearradh ma 's e agus gum bi buidheann den Chomhairle a' ruith cuid de sheirbheisean dha sgoiltean na sgìre. Dh'aontaich Comataidh an Fhoghlaim Diardaoin plana gnìomhachais a chur air dòigh feuch an fhiach do High Life na Gàidhealtachd seirbheisean bìdh, glanaidh agus dorsaireachd nan sgoiltean a ghabhail thairis. 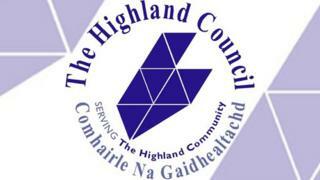 Tha High Life na Gàidhealtachd mar thà a' ruith ghoireasan spòrs is eile às leth na Comhairle. Tha dragh air cuid de chomhairlichean ge-tà, gur e cosnaidhean a ghearradh a tha san amharc aca leis a' ghluasad seo. Tha amharas orra gur e ceum a tha seo air na seirbheisean a chur dhan roinn phrìobhaidich. Thuirt an Comh. Alasdair Christie, a bha roimhe na chathraiche air Comataidh an Fhoghlaim, gun tèid cosnaidhean a chall. Dh'innis e cuideachd gur dòcha nach tèid airgead a chaomhnadh air a' cheann thall co-dhiù. Chuir ceannardan na Comhairle dìon air na planaichean aca. Thuirt iad nach tèid cosnaidhean a ghearradh. Dh'innis an Comh. Drew Miller gum feum an t-seirbheis a bhith air a ruith ann an dòigh nas fheàrr.